Previously known as Intelligent Corporate Eyecare by Duncan and Todd, SEE was founded by opticians and built as a dedicated service specifically for corporate eyecare as part of the Duncan and Todd Group of opticians and optical services. Prior to Duncan and Todd Corporate, Caledonian Optical - the lab in part of our group - had already begun offering safety eyewear serving mainly Aberdeen-based oil and gas industry clients. As opticians, in response to changing legislation further detailing employers’ responsibilities towards eyecare, we saw a need to offer a cost-effective, convenient way to address these requirements. It was from this need that we built what's now known as SEE.  Founded by opticians. It’s our focus. It’s our speciality. That expert knowledge and in-depth industry understanding remains at the heart of our business. We know the industry; we understand optical care, and we have an impressive client list to prove it. Since 1992, our network of opticians has grown across the UK and into Ireland. We have more than 3,000 specialist GOC-accredited opticians registered to provide comprehensive corporate eyecare to customers from a broad range of sectors. Our primary services include VDU, Safety and Driver eyecare. We also offer onsite services for employers such as screening, on-site testing and wellbeing days. Whether you are an employer, employee or an optician, to learn more about Smart Employee Eyecare services simply get in touch us. Already registered? Login to buy eyecare vouchers.